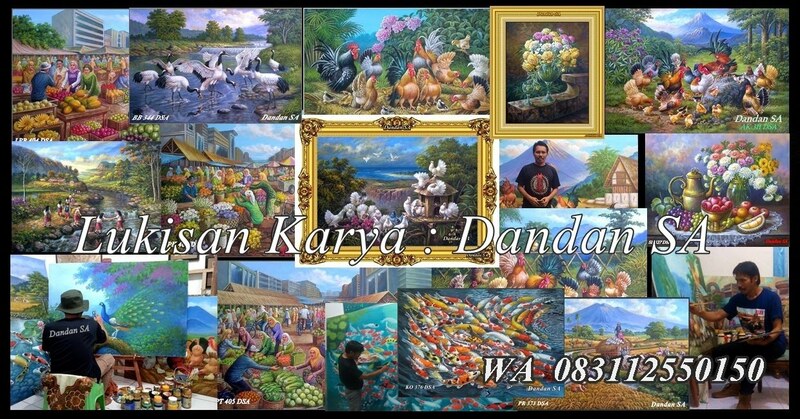 Anda membutuhkan Lukisan Ikan Koi paling Bagus, Cantik, Indah, Unik, Lucu, Menarik, Mempesona dan Komplit itu ada pada saya, karena saya punya banyak Ide Brilliant. 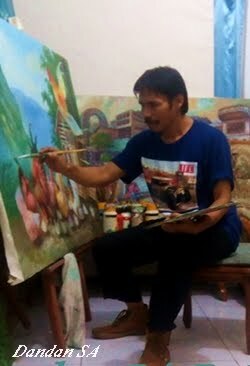 Sehingga lukisan saya telah diminati orang banyak. Please, you can see!!! 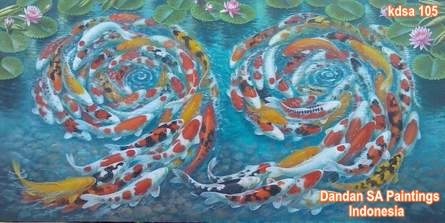 Koi Fish Painting that amounted to 99 tail and forming the number 9 and 99 very unique and beautiful. 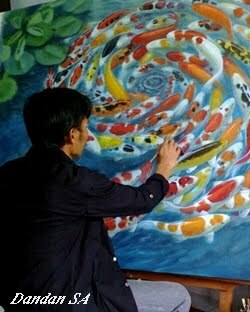 I very often make paintings of koi fish, koi fish painting because i much preferred and desirable people. 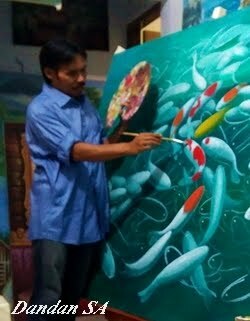 I am doing perfectly well and my koi paintings have differences with others koi fish painting. 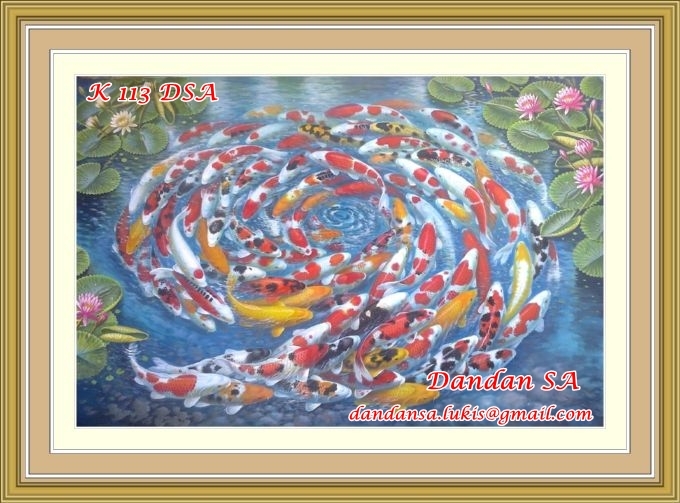 My koi fish paintings more varied and more interesting. 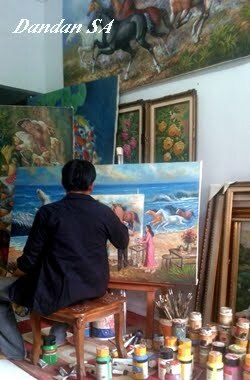 It comes with a lotus background done in earnest, so the paintings look more beautiful and fascinating. 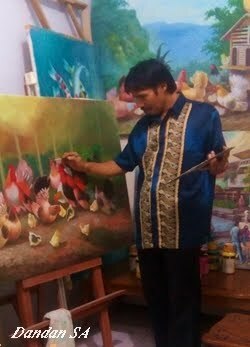 I have always been many attempts to create a better painting unique, interesting and interested people. 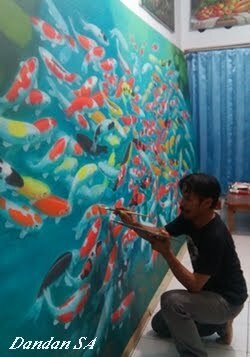 Koi fish painting of tail amount 99 as a lucky number, according to the story. 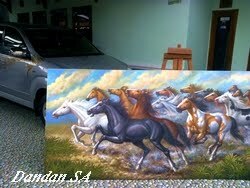 Please, write to your comments!!! Okay? Such an unusual picture! there are 99 fishes, aren't they? Yes. These fish there are 99. Form the number 9 and 99. This is my creative ideas, but this is very unique and interesting.